The Tax Justice Campaign says changes to the tax system could be the key to stopping privatization of New Zealand’s public assets. Tax Justice Campaign spokesperson Kay Murray says the solution to the so-called debt crisis is not to sell the few remaining public assets but to change the tax system. She says the Prime Minister’s claim that New Zealand has to sell assets because we are in debt is nonsense when the National Government has just handed out tax cuts that benefited the very wealthy – making debt worse. The very wealthy had received large tax cuts whereas low to middle income earners had been hit by GST increases, inflation and low or no wage increases. A Financial Transactions Tax could provide income to roll back unfair taxes like GST, pay for social spending, or pay off debt. The Tax Justice Campaign is running a successful petition to remove GST off food and introduce a Financial Transactions Tax. The goal is to take the tax burden off the hard working majority of low to middle income New Zealanders and tax the unproductive profiteering of financial speculation instead. The Financial Transactions Tax is gaining support around the world. A “Robin Hood Tax” campaign in the UK has gained massive support for a Financial Transactions Tax, and even the conservative French President Sarkozy has recently proposed a modest version of the Financial Transactions Tax. 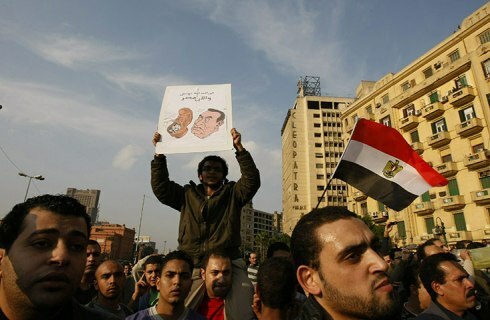 Yesterday, hundreds of thousands of Egyptian demonstrators took to the streets in many cities across their land. In vast numbers they faced down legions of riot police and, in some places, forced the cops into retreat. Their calls were simple: Down with president Hosni Mubarak, Egypt’s strongman for 30 years. Bring an end to his reign of torture, poverty, corruption and unemployment. No protests on this scale have been seen in Egypt for three decades. Now the inspiration of Tunisia’s popular uprising is intersecting with the frustrated anger that has long been simmering among the grassroots. One Cairo-based reporter, Kristen Chick of the Christian Science Monitor, likened this historic mass outpouring to a dam breaking. The word “revolution” is suddenly on the lips of people who were previously too frightened to speak out. In the immediate aftermath of the Cuban missile crisis in the 1960s, US Secretary of State Dean Rusk issued the famous (and famously scary) verdict : “We’re eyeball to eyeball, and I think the other fellow just blinked.” For some months, Hone Harawira and the Maori Party leadership have been locked in a similar eyeball-to-eyeball blinking contest, one with equal risks of mutual destruction. Until mid 2010, the Te Tai Tokerau MP and his party leaders had managed a relatively sustainable level of marital bickering. Sure, there were disputes over policy and territory, but the conflict seemed manageable because there were clear advantages for both sides in not letting matters get out of hand. The Maori Party could use Harawira as a badge of integrity to constituents troubled by its co-operation with the Key government – if Hone could still wear it, the gains must be substantial, right? – while Harawira clearly enjoyed the perks of being a Maori Party MP, and owed his party a debt of gratitude on that score. It has been very reminiscent of the situation Sue Bradford faced in the Greens as the credible representative of the social justice planks of the party – at the same time as the Greens leadership were quietly dialling back those issues during the 2008 election campaign, for electoral gain. That was a bit of a kick in the bum for me, having led the hikoi that gave birth to the Maori Party, but actually it wasn’t that unexpected. The rumblings of discontent have been growing for some time, and it’s election year now so we either deal with that discontent soon or we just might lose some votes come crunch time. And we’ve been lucky really. We’re only six years old so everything about the Maori Party is still new – first Maori party in parliament, first Maori party in government, first ministers appointed to cabinet from a party voted in by Maori. And still the only independent Maori voice in parliament, although that independence is being increasingly questioned these days. While inertia continues to define the coalition government's approach to banking regulation, the bankers are happily enjoying yet another free-for-all spending splurge – and fears are emerging of a new bubble. This time, it's a commodity bubble, similar to the one that led to food riots around the world in 2007 and 2008. In case you hadn't noticed, food prices are at an all-time high: the latest figures show food price inflation at 5.5 per cent, outpacing the overall inflation figure of 3.3 per cent. You'll be paying as much as 25 per cent more for your regular cuppa as tea prices rise; and we already saw the cost of our Christmas turkey go up by more than £3 before Christmas, due to the doubling in feed costs in 2010. The currency king is (almost) dead, long live who? On the eve of a trip to Washington, China's president Hu Jintao has openly spelt out the demise of the US dollar as the world reserve currency. Yet he also admits that it would be "a fairly long process" to make China's renminbi an international currency, not to mention replacing the weakening greenback as the unrivaled currency of global commerce. In other words, the currency king is (almost) dead, long live who? (not Hu). All this is an indicator of two system-changing trends. First, it points to a hegemonic vacuum in the world system as no one imperial power looks likely to gain the relative dominance that America enjoyed after the Second World War. Second, it highlights the deathly financial instability of global capitalism as its high-stakes gamble on building ever higher mountains of debt looks certain to be a sure loser. The important task facing the world's majority is to make sure that financial chaos and capitalist collapse doesn't take them down too. That will require a grassroots revolution to separate the worthwhile world of work from the parasitical world of high finance where capitalist crooks and state swindlers luxuriate in a fool's paradise at the expense of people and planet. 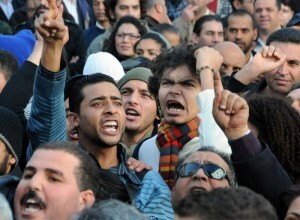 At this stage the only certainty about the future of the Tunisian revolt is uncertainty. With the departure of President Ben Ali the longtime dictator, a massive power vaccuum has opened up in the north African country. The situation in the country is changing rapidly with a state of emergency declared, prisons emptying, rioting gripping the capital Tunis and reports of fighting between the army and militas loyal to Ben Ali. News media outlets, bloggers and politicians are offering up a variety of different analysis of the political situation and offering up competing predictions for what will come next. The dictator, thief and Western client Zein al-Abdine Ben Ali, beloved until a few hours ago in Paris and Washington, has been driven from Tunisia. His reign was ended not by a military or palace coup but by an extraordinarily broad-based popular movement which has brought together trades unions and professional associations, students and schoolchildren, the unemployed and farmers, leftists, liberals and intelligent Islamists, men and women. One of the people’s most prominent slogans will resonate throughout the Arab world and beyond: la khowf ba’ad al-yowm, or No Fear From Now On. But whereas in years past, it's been weather that has caused a spike in commodities prices, now it's trends on both sides of the food supply/demand equation that are driving up prices. On the demand side, the culprits are population growth, rising affluence, and the use of grain to fuel cars. On the supply side: soil erosion, aquifer depletion, the loss of cropland to nonfarm uses, the diversion of irrigation water to cities, the plateauing of crop yields in agriculturally advanced countries, and—due to climate change —crop-withering heat waves and melting mountain glaciers and ice sheets. These climate-related trends seem destined to take a far greater toll in the future. This social movement, which has been termed the “free culture movement”, has a thirty year history. It incorporates elements reminiscent of earlier workers’ movements: elements of class struggle, political agitation, and radical economics. The movement’s cadre, mainly technology workers, have been locked in conflict with the ruling class over the political and economic nature of information itself. Let us be clear: the real criminals are those who steal or wreck assets worth $50 or $500 or $5,000 or even $50,000 or, very occasionally, $500,000. Those who steal or wreck assets worth $5 million or $50 million are treated far more leniently, usually escaping most of not all criminal charges. Those who steal or wreck assets worth $500 million or more are almost never treated as criminals at all, but as victims of circumstance, and are often bailed out by governments of all colours and their central banks. So it is with BP, gross polluter of the Gulf of Mexico, perhaps the world's single biggest corporate environmental disaster to date. Yet BP has been a consistent violator of even America's ridiculously lax environmental laws, inveterate briber of environmental officials and state and federal politicians, and uncaring employer of oil rig workers continually put in harm's way to save a few miserable dollars for company bosses. It is now clear that the scene is being set for BP to get off with a verbal tongue-lasging coupled with the proverbial slap on the wrist with a wet bus ticket (or should that be oil-soaked handkerchief?). Justice is certainly blind when you are a "too big to fail" corporate. 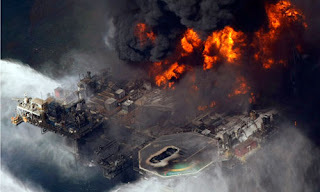 The Guardian article, Gulf oil spill: BP set to avoid gross negligence charge, gives the petty details of how this "get untough on corporate crims" policy is being applied to BP. A ground invasion by massed regiments from the Middle East’s strongest military power. Plus aircraft and helicopter missile strikes. And tank and artillery barrages. Even the widespread use of white phosphorus, an internationally banned terror weapon, in high-density suburbs. Such was the hellfire that, two years ago, Israel rained down on Gaza’s 1.5 million people, many of them refugees from lands ethnically cleansed by Zionist terrorists in decades past. Breaking a longstanding ceasefire deal with the Hamas government, politicians in Tel Aviv unleashed total war against Gaza two days after Christmas 2008. Codenamed Operation Cast Lead, this one-sided slaughter lasted for 22 terrible days, and was only then called off due to public outrage around the world. Among the Palestinians killed were 352 children. They included infants like Farah Ammar al-Helu, one year old, of al-Zaytoun. And school kids like Islam Khalil Abu Amsha, 12, of Shajaiyeh, and Mahmoud Khaled al-Mashharawi, 13, of al-Daraj. Among Gaza’s 1,065 adults killed were elders like Kamla Ali al-Attar, 82, of Beit Lahiya, and Madallah Ahmed Abu Rukba, 81, of Jabaliya. In total, 1,417 Palestinians died in what they call a “genocidal act”, compared to just 13 Israelis, four of them lost to their own “friendly fire”. Untold thousands more Gazans were maimed. Destroyed were most of Gaza’s factories, along with water treatment, power generation and sewage plants, roads and bridges, water wells and farm greenhouses, teaching and health institutions, mosques and churches, and block after block of residential dwellings. As if this “genocidal act” wasn’t bad enough, Gaza’s people and their economic means of survival have been savaged by a relentless siege both before and since Israel’s 2008 war. Over recent weeks, Israel appears to be revving up aircraft strikes and tank incursions inside the battered enclave, fueling fears of another invasion. With the possible exception of trusted allies in the United States, Israel’s main diplomatic, military and financial backer, nobody outside Tel Aviv’s political and state elites are being informed about what future cruelties they are planning to inflict on Gaza. Sadly, the horrors inflicted on Gaza over the past decade are nothing new. Seizures of land and property. Daily harassment by police and army. This blood-stained history is “the logical outcome of the racism that forms the inseparable core of Zionist ideology and practice”, notes Palestinian analyst Ali Abunimah. The racist record of Israel bears a close resemblance to the apartheid state of South Africa. Here blacks and Asians were “legally” denied the economic, political and social rights of the ruling white minority. Suffering under a reign of racist terror, “non-whites” were forcibly separated into impoverished Bantustans and slums. Several days ago, on the 2nd anniversary of Operation Cast Lead, 37 civil society organisations in Gaza wrote an Open Letter asking the world to help them resist what they called “Apartheid Israel”. Signatories include trade unions, women’s groups, student movements, cultural associations, business federations, medical societies and children’s charities. Kia Ora Gaza’s leadership agrees with Gaza’s civil society organisations that Israel is an apartheid state. Roger Fowler, who captained Kia Ora Gaza’s team on the biggest international aid convoy to enter Gaza during 2010, was active in huge protests against the 1981 tour of New Zealand by a racially selected Springbok rugby team. At the very time that Roger and hundreds of thousands of other Kiwis were protesting against the 1981 tour, racist governments in South Africa and Israel were collaborating on the covert construction of nuclear weapons. Like attracts like. Ismail Waja, co-organiser of Kia Ora Gaza, spent much of his life in apartheid South Africa, allowing him to make realistic comparisons with the state of Israel. “While both are apartheid regimes, Israel is much worse than South Africa ever was,” Ismail reports. The six decades of Zionist apartheid led into Operation Cast Lead in 2008. This devastating war was the end product of a racist state punishing Palestinians for refusing to be crushed into silent slavery and written out of history. Politicians in Tel Aviv, however, try to justify such brutality as “security measures” against “terrorist attacks”. Any act of Palestinian resistance, whether violent or peaceful, is condemned as “terrorist” by Israeli leaders, and is met by hugely disproportionate state force. At the same time, Israeli leaders cover up their racist state’s crimes against humanity which inevitably spark acts of resistance by the victims of apartheid. Only by ending the injustices of Zionist apartheid can there be security for everyone in the region, Jews and Palestinians alike. The central issue is justice for all. Anyone who talks of Israeli “security” while ignoring justice for Palestinians is part of the problem, not the solution. Some days ago, a detailed report by Human Rights Watch titled “Separate and Unequal” denounced Israeli policies as “apartheid”. Yesterday the Israeli-based Jewish human rights group B’Tselem warned that the continuing siege of Gaza, West Bank settler colonisation and restrictions on peaceful demonstrations “prevent any real human rights improvement” across the region. And many other widely respected agencies, such as the United Nations, International Red Cross, Save the Children, Amnesty International and Christian Aid, have issued reports condemning the injustices inflicted on Palestinians by the Israeli state. Fraying of traditional state-to-state alliances. For instance, Turkey is turning from friend to foe, European powers are openly critical of Tel Aviv, Egypt is admitting Gaza aid convoys across its territory and South American governments are recognising the state of Palestine. Even the United States is showing some shakiness as an ally. Civil society protests against Israeli policies. A recent decision by the Methodist Church in Britain to divest from companies operating in the occupied West Bank illustrates how an international grassroots campaign to isolate Israel has picked up steam over the past year. Meanwhile, Gaza aid convoys are riding a wave of public opposition to Israel’s collective punishment of an entire people. Jewish protests against Zionist extremism. While a sizeable portion of Jews inside Israel and around the globe have traditionally opposed Zionist extremism, their numbers and profile are clearly rising. At last November’s General Assembly of North American Jews, for instance, a group stood in front of Israeli prime minister Benjamin Netanyahu with banners reading “The siege of Gaza delegitimizes Israel” and “Silencing dissent delegitimizes Israel”. This weakening of Israel’s state-to-state alliances, international goodwill and Jewish support base stems from a loss of legitimacy. Israel now faces the existential threat of “de-legitimization”. That is the stark warning contained in two reports published in December 2010 by a couple of Zionist think tanks, the Tel Aviv-based Reut Institute and the Jerusalem Centre for Public Affairs. Avigdor Lieberman, Israel’s far right foreign minister, is so worried about the Zionist state’s loss of legitimacy that he has engineered a global media campaign to improve his country’s shattered image. Lieberman, however, is doomed to fail. Why? Because his government refuses to scrap the agenda of apartheid which delegitimizes the Israeli state. Therefore, the foreign minister’s media spin cannot go much beyond the character assassination of anyone who opposes Israeli policies. Widening circles of people get tagged with false labels, such as “terrorist supporter”, “Islamic extremist” and “anti-Semite”. Such verbal brutality against Israel’s critics merely alienates growing numbers of citizens. To compensate for its erosion of legitimacy, Israel must now employ state force against even mild forms of dissent. For instance, peaceful protests against the Separation Wall on the West Bank are being broken up with shock grenades, teargas, beatings, shootings and intimidatory arrests, usually followed by torture, even of children, and long prison terms. Israel’s increasing reliance on force rather than legitimacy is the same road to ruin trodden by South African apartheid in the dying days of white rule. Gaza has emerged as a centre piece of the international campaign against Zionist apartheid. In a 2006 poll certified as free and fair by international observers, Hamas was elected as the government of Gaza. After Hamas survived an armed coup sponsored by Israel and the United States, politicians in Tel Aviv announced a blockade of Gaza to isolate its “terrorist” government. Israel’s announcement was part propaganda, since Gaza had actually been under siege from the Zionist state for many years before the election of Hamas. The announcement was also part fact, since Israel tightened the blockade of Gaza to halt all exports, ban most imports and imprison the entire population. But two years of tightened blockade failed to topple the Hamas government and reimpose Tel Aviv’s rule on Gaza. So, just after Christmas 2008, Israel launched Operation Cast Lead. 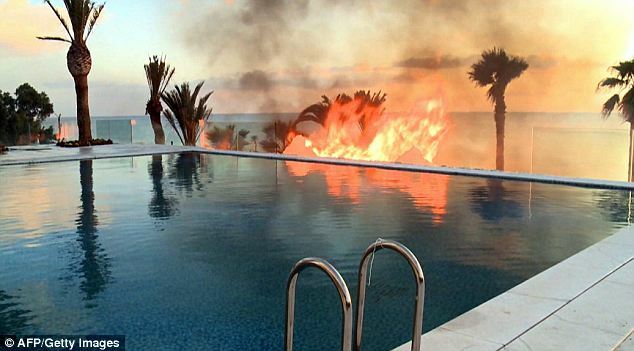 The global response to Israel’s total war on Gaza was electric. The Free Gaza Movement organised several sailings of Gaza aid vessels, which were blocked by the Israeli Navy. Meanwhile, UK charity Viva Palestina led the first land convoy which successfully drove aid into Gaza through Egypt’s back door. Since then, a series of land and sea convoys involving a diversity of movements in many countries have challenged the siege of Gaza. Sensing the seriousness of this challenge, the Zionist state decided to sink last May’s Freedom Flotilla. On the open seas, under cover of darkness, the Gaza aid ship Mavi Marmara was stormed by Israeli commandos in a barrage of gunfire. Killed were nine civilian volunteers, some executed by close range shots to the head. Dozens more were wounded by commando bullets. Again, the global response was electric. Viva Palestina led the way with an international convoy of 150 vehicles staffed by 500 volunteers from 30 countries. They overcame great odds to enter Gaza through Egypt’s Rafah Gate in October 2010. Taking part in this convoy was a six-person aid team from Kia Ora Gaza who were funded from a successful public appeal for NZ$100,000. Our grateful thanks go to all the good people who donated money and helped in other ways towards a Kiwi contribution to this Gaza convoy. Kia Ora Gaza helped to deliver NZ$7 million worth of medical supplies and other humanitarian aid to the people of Gaza. Even more important, said the people of Gaza, was how the convoy broke through the siege to reconnect them to the rest of the world. By busting the siege, the convoy delivered hope as well as aid. That hope helps to sustain the intergenerational bravery of Palestinians in Gaza, and elsewhere, whose struggle for justice in turn fuels global opposition to Zionist apartheid. Following international outrage at Israel’s murder of civilian volunteers on the Mavi Marmara, politicians in Tel Aviv claimed that their siege of the Palestinian enclave has been “eased”. And that’s confirmed by a reputable independent observer, John Ging, who heads the United Nations Relief & Works Agency for Palestinian Refugees in the Near East. “There’s been no material change for the people on the ground here,” Ging reported in November 2010. The so-called “easing”, he declared, “has been nothing more than a political easing of the pressure on Israel and Egypt”, Tel Aviv’s longtime ally in the blockade. The Israeli commandos who raided the Mavi Marmara have received public praise and state medals from their prime minister. Benjamin Netanyahu has also refused to apologise to Turkey, homeland of the nine slain aid volunteers. Clearly, Israel’s rulers are continuing their inhumane and illegal siege, and feel no remorse at killing anyone who brings relief to the suffering people of Gaza. In their Open Letter, Gaza’s civil society organisations appeal to people around the world to take actions that help in “immediately ending the siege”, such as blockade-busting aid convoys. In line with their appeal, Kia Ora Gaza has begun working towards a substantial engagement with another international aid convoy to Gaza in 2011. The key to success is active participation by good people across our land. Volunteer to join the Kia Ora Gaza team on another convoy. Donate towards Kia Ora Gaza’s new fundraising appeal. You can make a direct payment to our bank account: Kia Ora Gaza, 03-0211-0447718-000, Westpac Bank, Onehunga branch. Or you can send a cheque made out to “Kia Ora Gaza” to PO Box 59-007, Auckland. Offer to promote Kia Ora Gaza among your own networks. If you can help in any of these ways, could you email office@kiaoragaza.net or txt/call Grant on 021 2544 515. Thank you for reading this message. And please go to kiaoragaza.net for regular updates throughout 2011. The 18 defendants in the so-called Terror Raids trial are being denied a jury trial. We are being railroaded by the crown and judiciary and there is no way that we can get a fair trial. This is an egregious miscarriage of justice, says Valerie Morse, defendant in the case. The Auckland High Court ruled this week that the defendants are to be tried before a judge alone, despite pleas to have a trial by jury. The Crown has dragged out the case at every opportunity in order to wear down the defendants and force them into long and expensive legal battles in the hope that the public will forget about the case and ultimately to force the defendants to plead guilty to end this nightmare. We are continually having to fight for our most basic rights in this case. The Government is doing everything in their power to deny us a trial by jury. A jury would quickly see through the police spin that has surrounded this case, which is why the crown wants a judge alone to hear the case, said Ms Morse. The highest lawyer in this country, Solicitor-General David Collins, said in November 2007 that there was no case under the Terrorism Suppression Act, yet more than three years later the crown continues to relentlessly pursue Tame Iti and 17 other activists in an unabashed crushing of political dissent and aspirations for tino rangatiratanga. The changes to the criminal justice system are criminal. It was part 1 of the Criminal Procedures Bill, passed under the previous Labour government in 2007 that gave the Crown the right to apply for trial by judge alone. Previously only a defendant could request this. Now the government is intent on further removing the right to a jury, the right to silence, the right against self-incrimination, and has just taken away the right to vote for all prisoners. This is not a democracy, let us not delude ourselves any longer. The October 15th Solidarity group reiterates its demand that these charges must be dropped. 1. 18 people are facing charges under the Arms Act. Five of the defendants also face a ridiculous charge for participation in an organised criminal group. 2. Of the 18 defendants, 13 are Maori. They whakapapa to several iwi: Tuhoe, Taranaki, Maniapoto, Te Ati Awa, Ngapuhi and others. 3. The raids took place on 15th October 2007 and the defendants spent up to one month in jail. 5. You can also email info@october15thsolidarity.info to get in touch with the October 15th Solidarity group.